The University of Canterbury (Māori: Te Whare Wānanga o Waitaha; postnominal abbreviation Cantuar. or Cant. for Cantuariensis, the Latin name for Canterbury), New Zealand's second-oldest university, operates in the suburb of Ilam in the city of Christchurch, New Zealand. It offers degrees in Arts, Commerce, Education (physical education), Engineering, Fine Arts, Forestry, Law, Music, Social Work, Speech and Language Therapy, Science, Sports Coaching and Teaching. 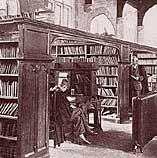 When established in 1873, Canterbury College, as the University was originally known, was only the second university in New Zealand. Housed in graceful stone buildings on a central city block, it was dependent for survival on rents from high country farms with which it had been endowed by the Canterbury Provincial Council. It was set up on the Oxbridge model with one major difference: women students were admitted from the start. An early graduate, Helen Connon, became the first woman in the then British Empire to win honours. Ernest Rutherford, Canterbury’s most distinguished graduate, studied at the University in the 1890s. He discovered his own scientific ability during a year of postgraduate research before taking up a scholarship to Cambridge. A contemporary of Rutherford, Apirana Ngata of Ngati Porou, was the first Maori graduate from any New Zealand university. The portraits of these two men, respectively, grace the nation’s $100 and $50 bank notes. For most of its first 100 years the University was situated in the centre of Christchurch (now the Arts Centre). By 1975 it had completed its move to a spacious purpose-built 76 hectare site in the suburb of Ilam, 7km from the old city site. It comprises a central complex of libraries, lecture theatres, laboratories and staff accommodation surrounded by playing fields, woodlands and the renowned Ilam Gardens. 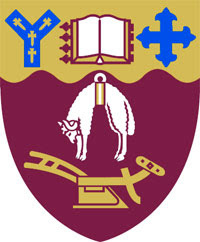 On 1 January 2007 the neighbouring Christchurch College of Education, the second oldest teachers' training college in New Zealand, merged with the University and became UC's sixth College/School. Canterbury offers undergraduate and postgraduate courses in some 50 disciplines, from accountancy to zoology. It has a number of specialist research centres and operates five major field stations at Kaikoura, Mt John (University Observatory), Cass, Westport and Harihari. Locally, five halls of residence provide board for up to 1000 students. Some 12,000 students are enrolled and each year about 3000 students graduate, 650 of them with higher degrees. The University has retained links with the old town site, now home to the Christchurch Arts Centre, using it as the starting point for graduation processions each year.